Byron Kosuge, former winemaker at Saintsbury makes several wines under the B. Kosuge Wines label including a Pinot Noir called "The Shop." The name ,“The Shop”, is a reference to Walsh Vineyard Management whose owners Brian worked with for many years. It also symbolizes his love for spending time in the vineyard and hanging out with vineyard workers. The grapes come from a small Carneros vineyard adjacent to the vineyard equipment shop. 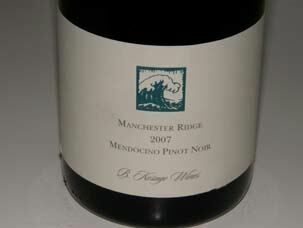 In 2006, there is also a Pinot Noir from Hirsch Vineyard (Sonoma Coast) and Manchester Ridge Vineyard (Sonoma Coast) as well as a Syrah from Bennet Valley. 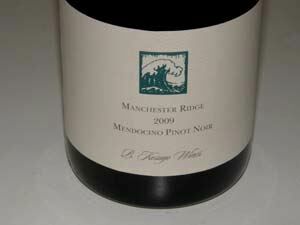 The Manchester Ridge Mendocino Pinot Noir is outstanding. The wines may be purchased on the website and through retail distribution channels. Kosuge is also a consulting winemaker for Alder Springs Vineyard, Pearl Morissette, Small Vines Wines, Wrath Wines, Kingston Family Vineyards and Miura Vineyards.